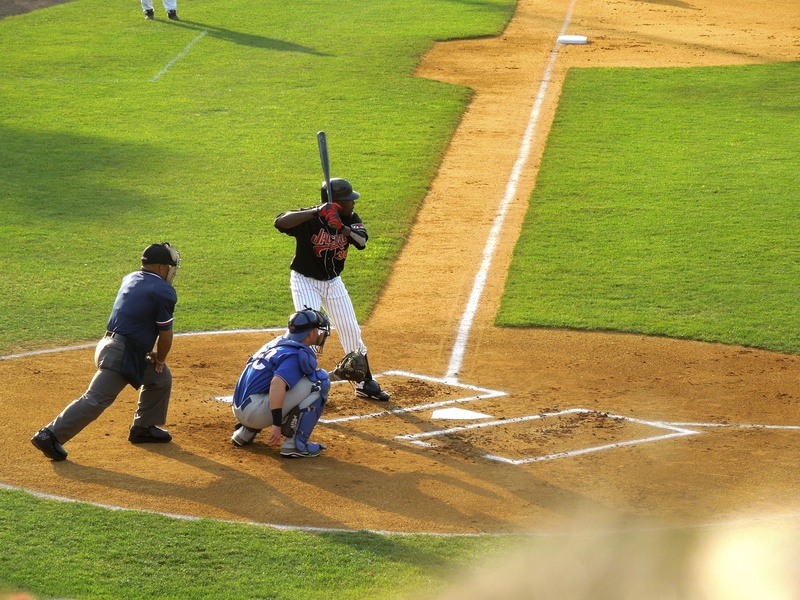 One summer ago, two friends and I went to see the New Jersey Jackals, an Independent League baseball team. Our quest: to retrieve an autograph from Angel Berroa, one of the most obscure baseball players of the last decade. Here is that story. There is absolutely no sane reason why I should be remotely excited to drive an hour and ten minutes to see Angel Berroa play. We are talking about Angel Berroa, a career .258 hitter in nine mostly mediocre seasons with one brush of greatness – he won the 2003 Rookie of the Year award that, realistically, could have gone to four other players in the American League. * Baseball Reference says his closest comparables are Adam Everett and Erick Aybar, both of whom wallow at the same level of mediocrity. *You could make the case that Hideki Matsui, Mark Teixeira, Jody Gerut, and Rocco Baldelli all had better rookie seasons. And yet, I am excited. No, excited isn’t the word. Anxious. Eager. Jubilant. But, I’m not alone. I am with two friends who share this excitement over Berroa because … well, there are a few reasons. It all started in 2009 when the Yankees inexplicably signed Angel Berroa to a minor-league contract. Remember, Alex Rodriguez missed the first month of the year, so Berroa and Cody Ransom were forced to split time at third base. For the most part, Berroa stunk. He played 21 games and went 3-for-22 with a .356 OPS. He wasn’t just bad, he was historically bad, so bad that he became a running joke among Yankee fans. But there was this one game in June where he went off. The Yankees were down in Florida playing the Marlins, and they had been struggling in a mid-season malaise. Injuries, bad pitching, bad luck – it had been a less than stellar season for a team that also failed to make the playoffs in 2008. Joe Girardi was on the hot seat, and the team needed something to spark a turnaround. I remember this game very clearly – it was a Friday night and I was at a friend’s high school graduation party. A bunch of us were following the game on our phones when, out of nowhere, Angel Berroa stepped up to the plate and hit a booming double into the gap to give the Yankees the lead. And then, Andy Pettitte hit a double to drive in Berroa. We couldn’t believe our phones. But Berroa wasn’t done. We later found out that he made an unbelievable bare-handed play at third base. The Yankees went on to win the game 5-1, and we were happy. And you know what happened after that game? The team kept winning. And winning. And they never looked back. The Yankees finished the year 76-34 and won the World Series. * We credited Berroa with the turnaround, and he became a folk hero. We described his double as the shot heard ’round the world. *For our sake, we can ignore the fact that the Yankees cut Berroa in July. We continued to follow Berroa’s career. He briefly played for the Mets at the end of 2009, and then he disappeared into the abyss of the Independent League. Now it is 2012, and we are standing above the Jackals home dugout (we are, literally, the only fans there), watching with bated breath as the players start walking onto the field. Hey, there’s the starting pitcher. And the cleanup hitter. And the manager. We couldn’t care less. We were searching for Angel. At no point did it cross our minds that this was weird. I mean, yes, objectively it was. But, I think, we all realized that this was just a cool experience – to do something this obscure and this silly is what summers are about. Plus we had the time to kill. The last player to emerge onto the field was Berroa – and we recognized him immediately. He made his way closer to the dugout, and then we started yelling. Angel! You’re the best! Can we get an autograph! We quickly realized that we didn’t have to yell. This wasn’t Yankee Stadium. There was no one else around us. Turns out – he doesn’t speak much English. We couldn’t really hold a conversation. But he did sign our things*, and we returned to our seats feeling very satisfied. *A full list of athletes that I have received personal autographs from: Angel Berroa, John McEnroe, John Flaherty, Aaron Harang, Nomar Garciaparra, Tim Wakefield, Dante Bichette, Carl Everett, Jimy Williams, Dusty Baker, Johnny Cueto, Chris Singleton, Tommy Holmes, Joe Pepitone, John Doherty, and Clay Bellinger. After the game, we tweeted him a thank you, and he responded graciously (also, his wife responded – that was unexpected). To this day, we continue to follow Berroa’s career. He probably won’t ever play in the majors again. He only has a few hundred Twitter followers. No one will remember him in the grand scheme of things. To give you an idea of how forgettable he was, consider that the official Yankee museum boasts that they have an autographed baseball from every player that ever played a game as a Yankee. And they really do – it’s quite amazing to see all the signed balls in the museum. Every no name we can think of has one. Billy Traber. Darrell Rasner. Craig Wilson. One player is noticeably missing – Berroa. Trust me, we’ve checked more than once. But that just adds to his legend.